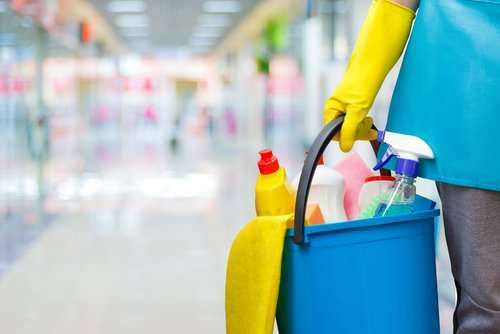 Finding the best cleaning company in Atlanta isn’t as easy as simply searching for a reputable Atlanta maid service online and booking a cleaning with the first one that pops up. You might get lucky, sure, but do you really want to risk getting a bad service that may potentially damage your belongings? As with all things, forewarned is forearmed, which is why it’s vital to thoroughly inform yourself before hiring a cleaning service. We’ve compiled a list of frequently asked questions about how professional cleanings work to help you make your choice. What do basic cleaning services entail? Standard or basic cleanings deal with everyday clutter and dirt. This generally means thoroughly vacuuming, mopping, and dusting your home. It should ideally be conducted at least twice a week. Clean bathroom fixtures and counters. Dust window blinds and sills. Dust pictures and other wall decorations. Dust appliances, such the top of the dishwasher and the refrigerator. Vacuum and dust the furniture. Polish too if needed. Delicate hand made furniture like Indian furniture, will also be cleaned with correct cleaning products. What is deep cleaning and do I need it? If you’ve visited the website of your chosen cleaning service, you’ve probably seen deep cleaning advertised as a separate service. Also known as spring cleaning, deep cleaning is designed to get at the deep grime that standard cleaning just can’t remove. For most homes, deep cleanings should only be performed two or three times a year. The duration of a home cleaning varies greatly depending on multiple factors. The most important is the size of the place. Naturally, a small condo will always take less time to clean than a huge manor will. Other variables include the residents themselves (families with kids tend to create more clutter than retiree couples do), whether pets are present, and how much time has passed since the place was last cleaned. Is the maid service trustworthy? No matter how trusting you are, a cleaning lady is still a stranger you’re letting into your home. Reputable cleaning companies know this, which is why they use complex vetting processes that subject the maids to extensive tests, interviews, and background and reference checks. This ensures your cleaner is an experienced and personable professional who respects proper house cleaning etiquette. After all, you don’t want to worry about your stuff getting stolen or broken while you’re relaxing with your loved ones at the Piedmont Park. Keeping our environment healthy and clean is arguably even more important than doing so for our homes. Luckily, modern advancements in environmentally-friendly cleaning supplies enable us to have pristine homes while also preserving our world. Going green with your cleaning may be one of the most responsible decisions you will ever make. If you want to learn more, organizations such as ISSA offer a wealth of information on green cleaning and what makes it a great choice for homeowners everywhere. Who provides an outstanding Atlanta maid service? Here at The Moxie Maids, we pride ourselves on working with Atlanta’s top cleaning professionals. Our transparent pricing system, pay-after-cleaning policy, and simple online booking form are only exceeded by our 200% satisfaction guarantee. Would you like to learn more about how top-notch cleaning services operate? Give us a call, or book a home cleaning and watch the cleaning superstars we team up with weave their magic. Contact us and we’ll make sure you get an immaculate home.